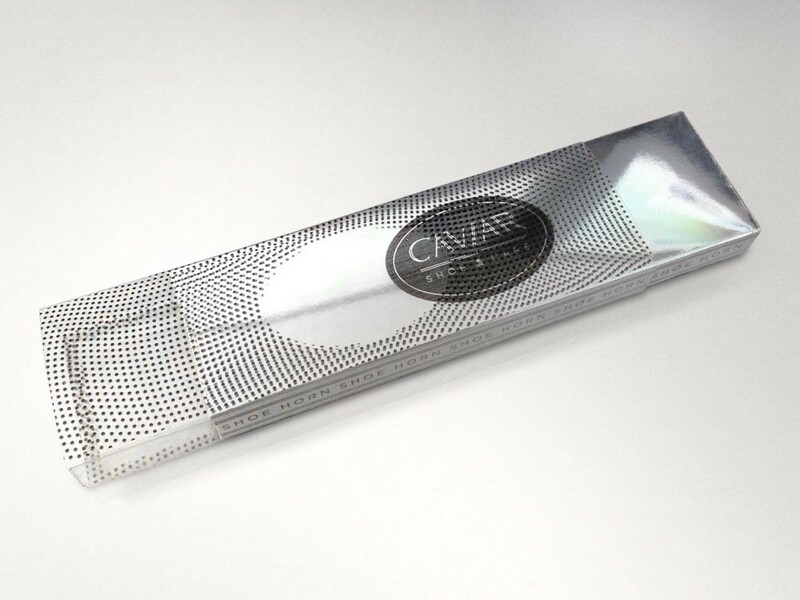 2014 Silver Winner of the AAF Awards in Sales Promotion, Packaging category. 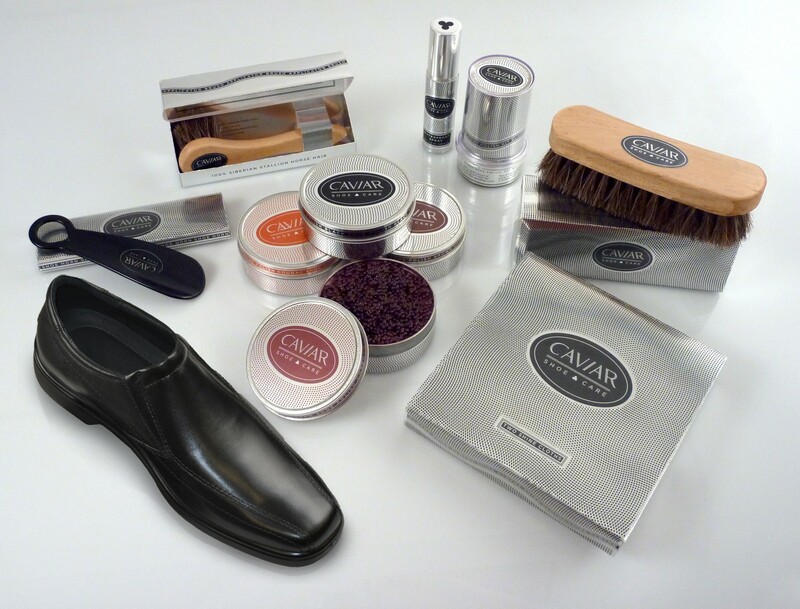 Caviar Shoe Care is a personal study based on a fictitious line of couture brand shoe care products. 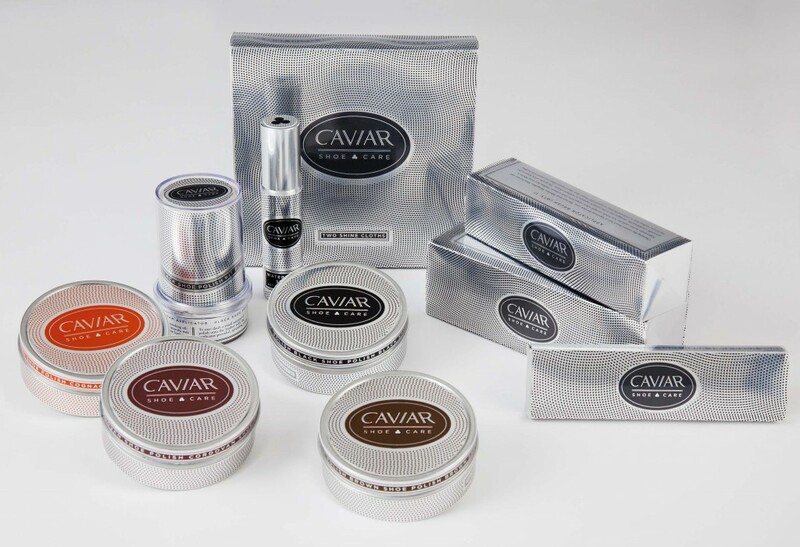 This study includes market research, product ideation, logo identity creation as well as the construction of cartons, sleeves, labels and decal applications for the product line. Perceived value is achieved with the allure of metallic lustre. Acetate sleeve with detailed pattern of dots in a repeatable pattern. 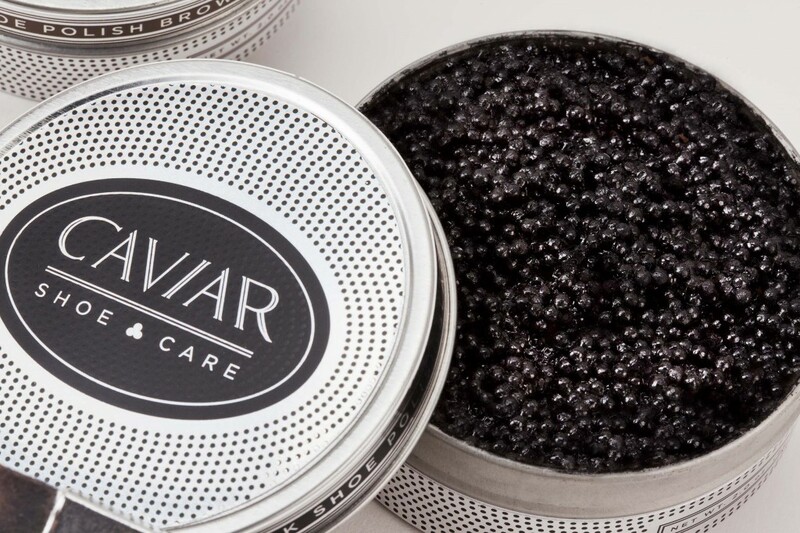 The product concept of caviar-like beads have carnauba-wax shells with moisturizing restorative oil extracts to repair and maintain dry or cracked leather products. 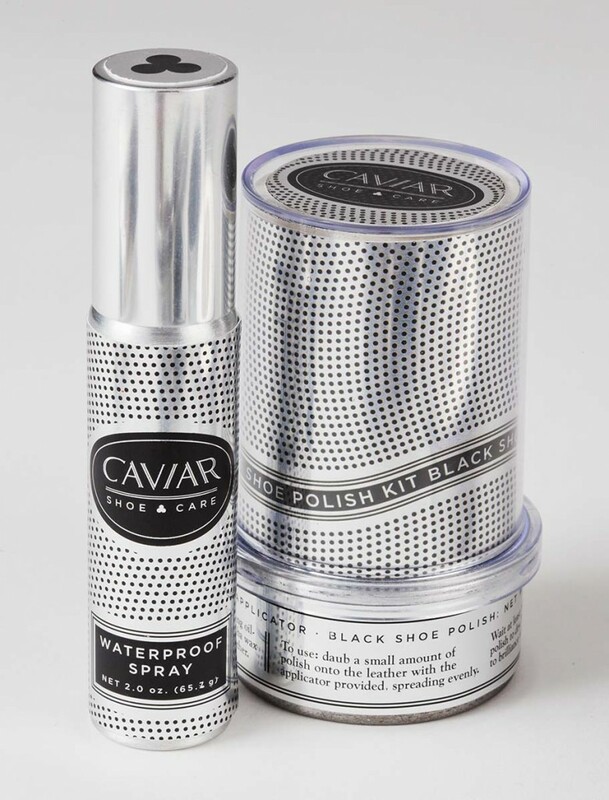 The minimal use of color is counterbalanced by the reflective properties of the packaging; any color, pattern or light in the vicinity is reflected off of the packaging. Labels on the brushes and shoehorn also have metallic printed logo decals. Applicator brush carton has a built in shelf to support the handle during shipment, and provide added structural support.